We live busy lives, and while it would be nice to enter into a clean home every night, keeping your space tidy is one of those responsibilities that tends to fall through the cracks during the week. Thankfully, it's 2018, and robot vacuums are a thing. 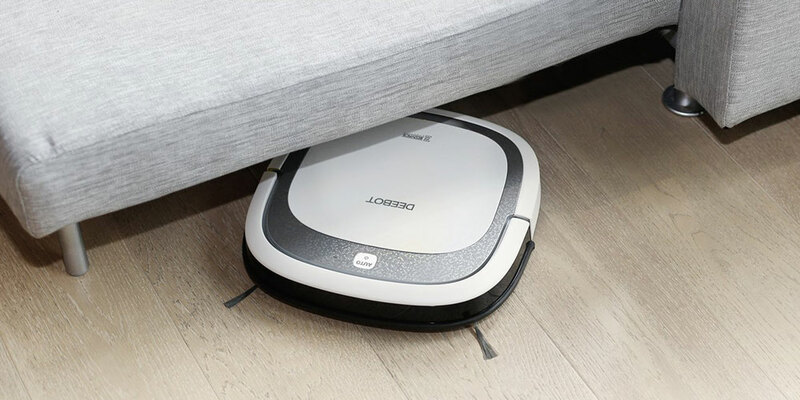 The ECOVACS DEEBOT Slim2 Robotic Vacuum Cleaner is perfect for keeping your living space clean, and you can start it remotely via your smartphone. Designed for hardwood floors, the ECOVACS DEEBOT removes hair, dirt, and debris with tangle-free suction and dry mopping. It can maneuver around obstacles and recharges on its own. Plus, you can schedule it for weekly or daily cleanings and activate it in a pinch with your smartphone, ensuring your space still gets cleaned whether you're stuck in traffic, running errands, or staying late at work. The ECOVACS DEEBOT Slim2 Robotic Vacuum Cleaner is on sale for $140, 29% off its usual retail price.